The ever–popular poker and other table games have been developed into a series by NetEnt and it is known as Professional Series. 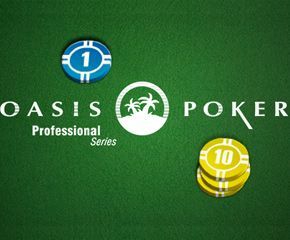 Oasis Poker Professional Series is a part of this very series. While the authentic Poker game has players as well as the dealer being dealt all five cards in the face–down position, this version also has five cards being dealt. However, one of these cards is dealt as an open card to the dealer and visible for the players. Founded in 1996, Net Entertainment has developed various games based on varied themes with amazing graphics for a number of gaming operators. This game is latest in the Professional Series of table games developed by the company. Oasis Poker Professional Series involves all the rules of the original Poker, where the players receive a full hand of five concealed cards. The cards can only be seen the specific player only. The draw happens once the first betting round has taken place. The draw will have player discard specific cards to replace them by the fresh cards dealt by the dealer. After taking these new cards, the player hopes that the highest ranked poker hand is created by him. Then an after draw betting round will follow and consequently the final showdown will happen, where hands of all the players are compared to find out the game round winner. If the player is happy with the cards initially dealt cards, then it is also possible not to replace any card and straightaway place the Call bet or even fold if that’s what you want. Oasis Poker Professional Series makes use of the same poker hand rankings like all other Net Entertainment poker table games. If the player wins and the dealer also qualifies, the player receives the Ante bet of 1:1 and the Call bet as per the paytable. If the player and the dealer both have similar poker hands, it is a tie and the player keeps the bets placed and does not win anything. If the player loses, he loses all the bets. 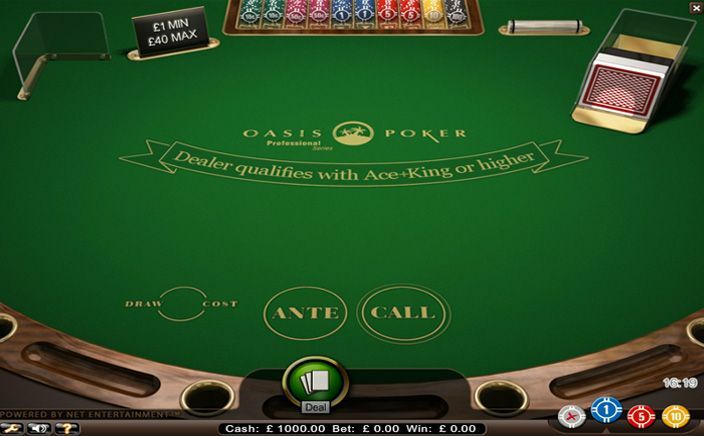 Oasis Poker Professional Series is a game that keeps the essence of authentic Poker table game which is loved by casino players and improves the experience of playing it even further.